How do I save my Excel workbooks that contain macros? 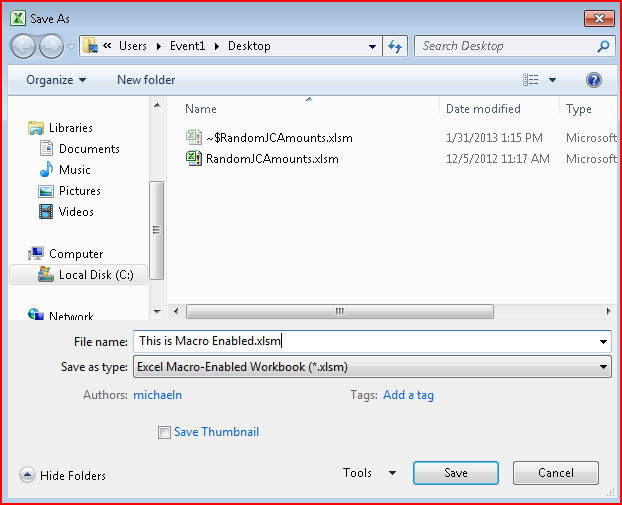 - Event 1 Software, Inc.
How do I save my Excel workbooks that contain macros? 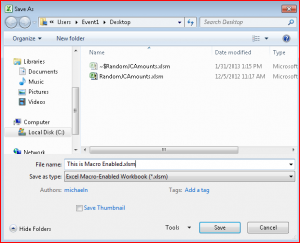 To save a file with these features, click No, and then choose a macro-enabled file type in the File Type list. To continue saving as a macro-free workbook, click Yes. This happens because the default type of file for Excel 2007 and above is XLSX which does not support workbooks that contain macros. Proceeding to save the file as a macro-free workbook may reduce its functionality or even result in it being no longer usable for its intended purpose. Next How do I enable macros for templates provided by Event 1 Software?